Most Popular Temples in Lajpat Nagar Since 1958. Inaugurated By Shri Jagadguru Shankaracharya Badrikashram Jyotish Pithadhishvar Swami Shri Krishna Bodhashram Ji Mahara. Two Satsang Hall, Physio Therapy, Diagnostic, Eyes, Dental, Pharmacy, Dietician, Ayurvedic, Naturopathy, Allopathy, Homeopathic, Marriage Bureau, Music Classes, Yoga Classes [6:00 - 7:00 AM], 9 Rooms. The foundation stone of which was laid down on Sharwan Purnima - Rakshabandhan 1958. 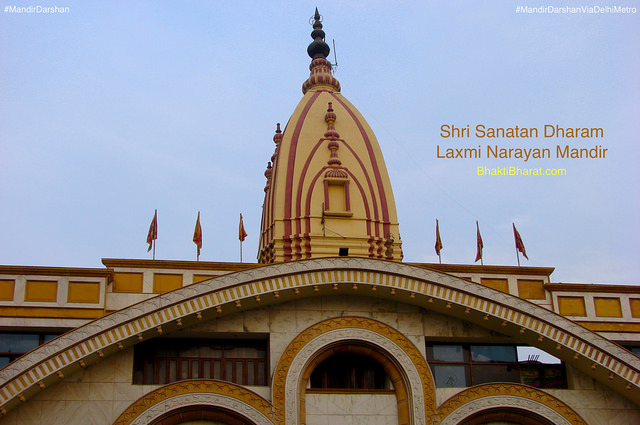 Shri Laxmi Narayan start blessing with great pomp and Show during march 1961, Puja was performed by Pt. Maya Ram Ji.